Maybe you’re planning a dinner party and you want every detail to wow your guests, perhaps it’s just a little surprise for someone at home or you just want to treat yourself to some well-deserved beauty. If you relate to any of these situations, we’re sure we have just the flower you need… and it comes to you all the way from Colombia. On a previous post we explained why flowers of Colombia are the best option. Now, we’ll share 5 of our favorites and why the rest of the world loves them. Overflowing petals make chrysanthemums feel bursting with color. You may know them as late autumn bloomers but Colombia has the perfect weather to cultivate them no matter the season and create the right conditions for them to grow larger than the average and brighter in color. 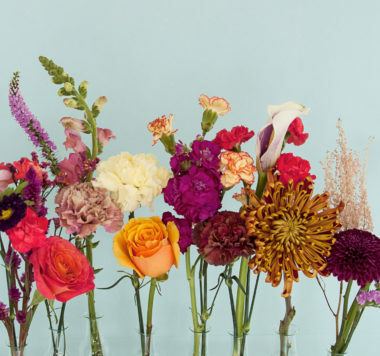 It’s not only the golden, or orange varieties with two-toned petals in fiery hues, but options of purple, pink and even green to make the liveliest arrangements. 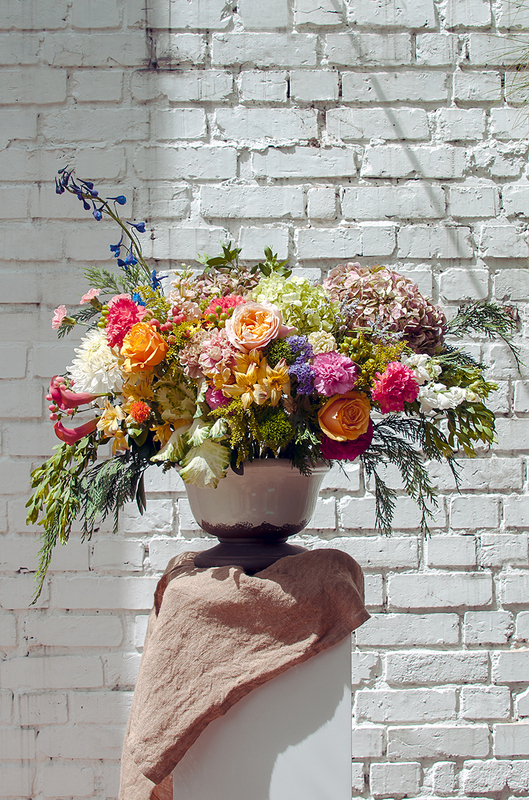 Large ‘mums’ are the perfect ‘floor’ for arrangements that play with contrasting volumes. They can add a thick line of color to the base so the composition can climb up with smaller companions like daisies and foliage. Anemone types with centers that resemble cushions are perfect for this role. These flowers also allow for stunning shapes brimming with petals in every direction, so full and close to each other that there’s practically no green leaves or stems in sight. If you use a single variety, it might look like a giant chrysanthemum made with dozens of little ones. If you want to try out something a little exotic, go for the spider chrysanthemum variety that allows you to create a grand arrangement without using a large number of flowers. In full bloom, it drapes dramatically, looking like little fireworks in the middle of a room. These flowers with a melodic name originated in South America and they’ve been also called ‘the lilies of the Incas’. 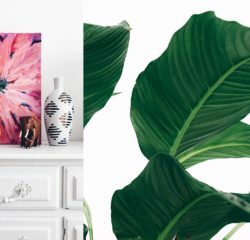 Their diverse colors and shapes make it possible to find the right variety for any season and, with extreme versatility, they stand out in classic and modern arrangements. Plus: they can go for more than two weeks looking lovely. There are countless hybrids and varieties of alstroemerias growing in Colombian fields. Stand in the middle of a flower farm and you’ll see the wealth of colors available: pink, white, orange and even deep-red trumpets standing out in their rich green foliage. A few alstroemerias can be all you need for ethereal arrangements. 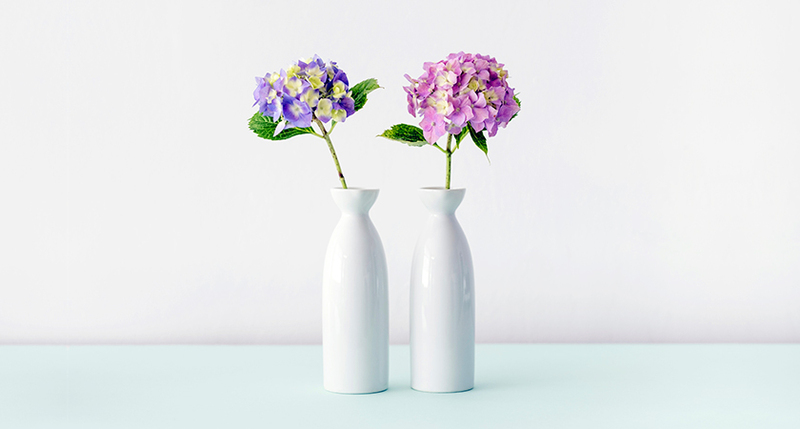 Remove any leaves from their tall elegant stems and use a high vase to help them find a pleasing shape so that their flower stalks take the same trumpet-like form of their petals. With these flowers, you are not just getting color but texture. Those distinctive freckles that spread from the base of its petals, and the mix of different tones -that can be as subtle as watercolors or as bold as a contrasting brushstroke- create a rich composition in more organic arrangements and even bridal bouquets (It’s such an artistic looking flower there’s even a Colombian grown variety called Rembrandt in beautiful shades of violet). If you usually get carnations at the market, it’s rather likely the best of the bunch came from Colombia. This country is the premier supplier in the world, producing hundreds of unique varieties, some so special that they’ve been awarded medals in international flower shows. Why do you need Colombian carnations? Because this country is responsible for the world’s most desired varieties. 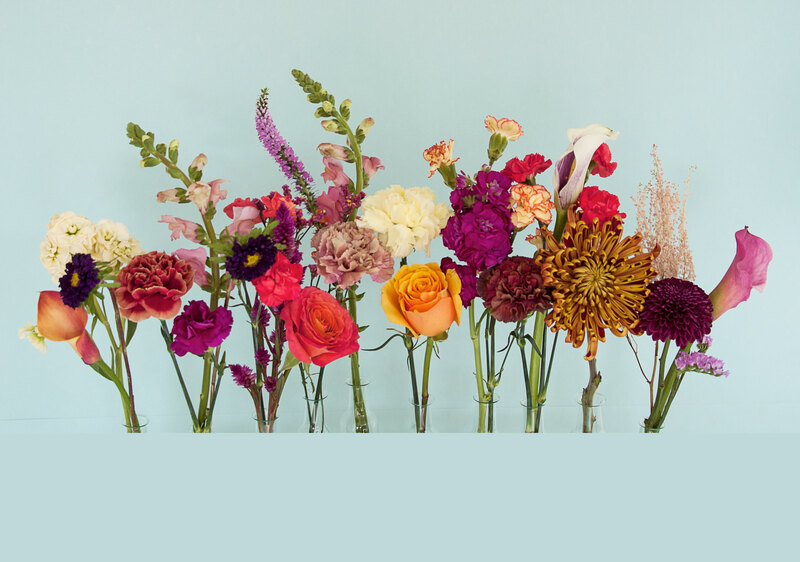 Their color range is so wide, they can take on any kind of role in your arrangements. Sure, you’re probably familiar with red, white, pink or yellow carnations, maybe even two-toned options, but did you know there are three-toned Colombian varieties? Stunning purple and red petals with violet fringes and splashes of yellow and white contoured in magenta, very unexpected color matches that could transform your next floral creations. It doesn’t stop there. Colombia has also applied its expertise and technology to develop a new surprising color for this flower: BLUE. And it’s not just a kind of bluish purple but the actual shade of a clear summer sky, a novelty color that makes for surprising compositions. Take advantage of the colors to create unique concepts for parties and events. Here’s an eccentric example: the irregular pleats of soft pink and white carnations resemble the airy goodness of whipped cream, so you could make an unexpected use of milkshake glasses for small arrangements with a cherry on top -yes, literally-. These could be perfect decorations for a dessert table at a birthday party. It you want to decorate a space with wreaths, garlands or even write words using floral arrangements, carnations are your best option. Create the shapes you want with floral foam and just be sure to cut the stems at the same level to get a more even look. You could use only one color but with such variety, subtle mixes can become something stunning. Burgundy, scarlet and magenta used in gradients make your decoration feel richer (also very Instagrammable). Carnations are not just for special occasions but also to make arrangements for your home without much work. They are best by the bunch, so look for high-quality varieties and arrange in tight bundles to create a lovely ruffle texture. This type of plump arrangement is perfect for small containers and can add beauty to any room. Like chrysanthemums, these flowers have a strong bond with Japan, where they have been cultivated for thousands of years. They were originally grown only in blue varieties but, as people discovered that the chemistry in the soil could change the coloring of the petals, they began to explore and appreciate new tones. During Japanese rainy season in June and early July, you can watch them bloom their brightest and there are temples filled with these big ball-shaped clusters in rich blues, purples and whites. Ok but… if Japan grows this flower, why do they love Colombian varieties? Colombia not only grows hydrangeas all year long, but they focus on exporting the highest-quality ones in the planet. A hydrangea-loving country like Japan desires the excellence of Colombian varieties: bright and perfectly even colors, straight and strong stems, and fresh as the day petals that last longer. Instead of focusing on quantity, Colombian farms have refined their hydrangeas with attention to detail. They have trained their teams to measure and identify when the flower opening is at 90% and only then it can be cut. This technique makes sure that all the hydrangea clusters you receive have exactly the same bloom and coloration. Right after the cut, they hydrate for at least 24 hours in purified water with controlled pH before they fully dry them and double check that they leave with no moisture trapped inside. This is a hands-on, very precise and artisanal approach that defines them as premium flowers. Groups of clusters in a single color are great to create volume in a short vase. Remember that odd numbers are a key to more balanced compositions. 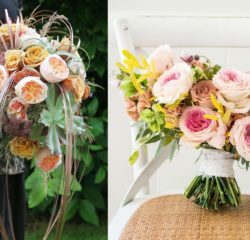 They are very on-trend at the moment as bridal bouquet options. Their fluffy bloom makes it easy to create a stunning arrangement with just a few stems and they are versatile enough for beach our countryside weddings, even for modern ceremonies. Blue hydrangeas are the go-to flower for baby boy’s christenings or birthdays, especially because you can find Colombian varieties in any season with lots of different shades. For arrangements at home, remember that they are flowers that show a lot of gratitude if you hydrate them. A florist hack to revive wilting hydrangeas is to submerge them completely in cold water for at least five hours with a fresh diagonal cut to the stem. You’ll see it’s like a magic trick: they come alive again looking farm fresh. We hope your next trip to the market leads to an exciting discovery of new Colombian flowers and the motivation for unique arrangements. 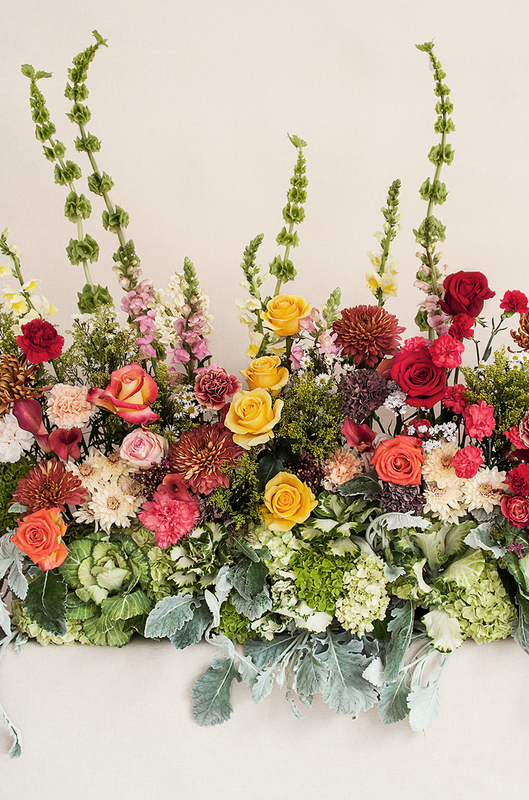 Make beautiful bouquets with this guide that showcases the variety of Colombian flowers.